This blog offers a different type of book review­—one that’s combined with vocabulary building. 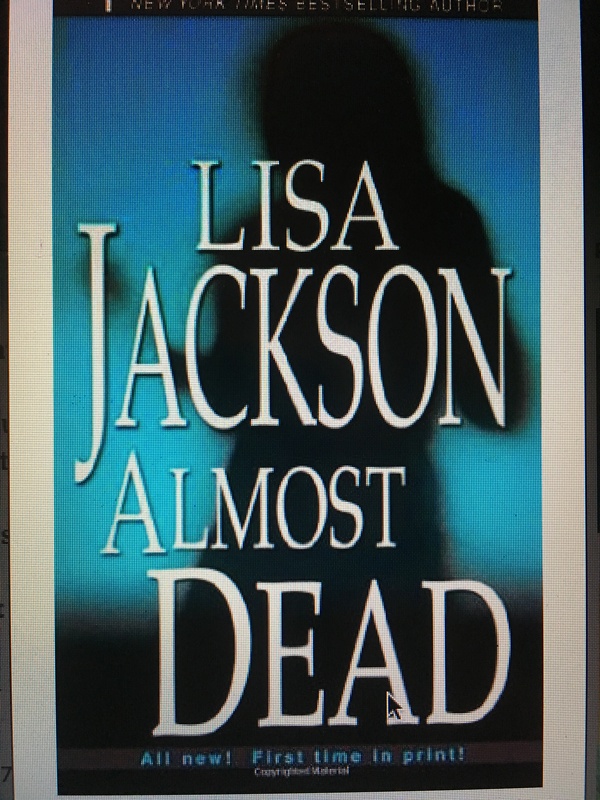 Included here, following a short review, are a few interesting words I found in Almost Dead, one of dozens of novels New York Times best-selling author Lisa Jackson has under her belt. In researching for this blog, I was surprised to learn that she and another author I love to read, Nancy Bush, are sisters. Almost Dead is the story of a young mother who’s awash in grief at the sudden loss of her grandmother. Cissy Cahill thinks that grief is making her lose her mind when she hears footsteps and senses strange shadows in the family’s San Francisco home. Then other members of the affluent family suffer sudden brutal deaths. Cissy is forced to dig into the family history to find answers and hope to discover the killer. Almost Dead kept me guessing until the surprise twist in the end, like Jackson’s writing often does. Definitions are typically from The New Oxford American Dictionary through Kindle or internet research, including Wikipedia. What interesting words have you taken note of lately? This entry was posted in Vocabulary via Books and tagged Almost Dead, Author Lori Ericson, book review, Danni Deadline Thriller Series, disabused, Lisa Jackson, moue, Nancy Bush, progeny, rabbit-warren, stygian, umbras, vocabulary building by Lori Ericson. Bookmark the permalink. Stygian and umbra. I can see where those words could come in handy. Once more you’ve taught me new words. Thank you. Yes, I liked both those words myself and will have to work them into my current WIP. Thanks for stopping by, Rochelle. I enjoy the challenge and love to find a word to look up and learn! I was familiar with the term Rabbit Warren, but the others are new too me. I love learning new words, but if an author uses too many I feel they are talking over my head. Most readers don’t want to carry a dictionary around when reading a novel. Nice review and post. Yes, it can be overdone. I love the dictionary feature on Kindle though.